You should first understand the fundamental forces of nature to unearth the hidden treasure of Chinese Metaphysics. "Mind Your Qi, Find Your Luck" (latest edition is 141 pages) explains in simple terms the dynamics of destiny and how you can manipulate the forces of nature to achieve what you have in mind. The advanced courses of Feng Shui and Chinese Astrology (Ba Zi) that other masters offer do not explore the in-depth connection between the dynamics of destiny and the forces of nature in a practical way. After reading this book, you will learn how to find your luck and make things happen. This book takes the practice of Chinese Metaphysics to the highest level. This e-book also comes with its sequel "The Art of the Qi" (242 pages). The Art of the Qi deals with heaven and earth, birth and death, time and space and cause and effect. All these things affect us one way or another through the cycle of life. 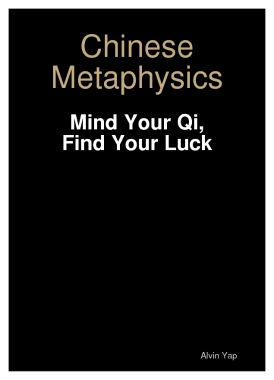 More importantly, this book teaches you how to activate your luck (Qi) naturally, resourcefully and effectively. The sooner you learn the Art of the Qi, the sooner you can choose to have what you want in life. Many books have been written about success and happiness but none of them cover the topic comprehensively with deep insights into the Life Force, the Power of Trinity and the Factors of Destiny. 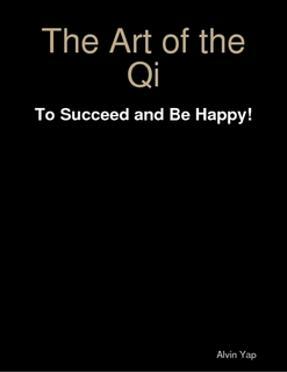 "Mind Your Qi, Find Your Luck" (USD15.90) and "The Art of the Qi" (USD12.90) are retailed at lulu.com, one of the largest on-line marketplaces for independent publishers. Over here, as the author of these books, we hold the rights to the publication and we will give you the latest updated editions. Click the button below and make your payment through our affiliate PayPal. Thereafter, please notify us through email at nlphabit@yahoo.com and we will email to you the E-Books in the next hour.